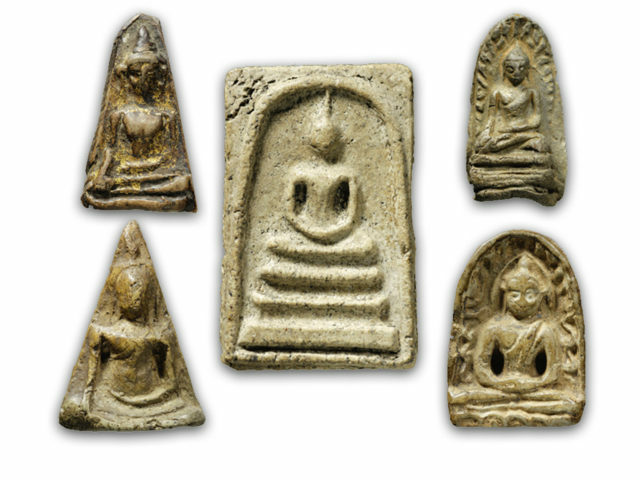 A very rare and Early Era amulet from Luang Por Pae, in Nuea Pong Phao Gae Nam Man (Sacred Herbal Powders with high quantity of Tang Oil, baked in a potter's oven). The amulet is from the very early era of Luang Por Pae, released around 2505 BE. The amulet has a glistening sheen to it, due to the presence of a high quantity of the Nam Man Tang Iw (Tang Oil). 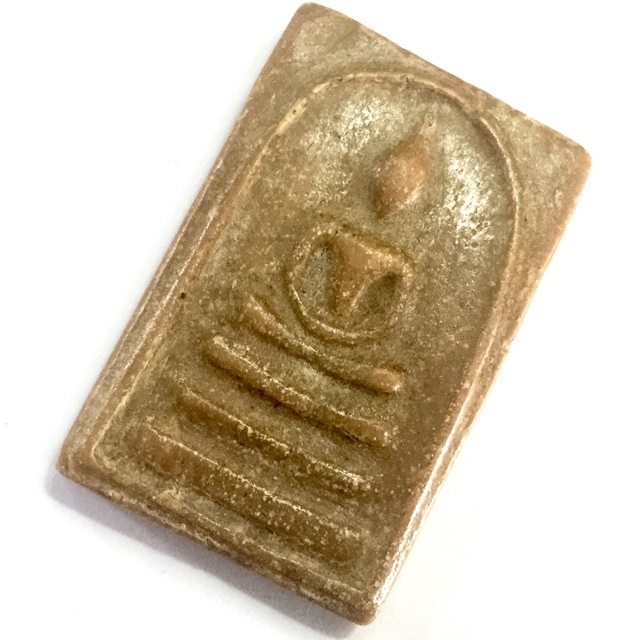 A fine layer of white Pong Puttakun powder has also risen up to dwell on the surface of the amulet, which is a trademark sign of an authentic amulet from Luang Por Pae.